Dr Sheldon Cooper is married. You read that right. The human bowl of tomato soup that is Sheldon Cooper has got married in real life to his long-time partner Todd Spiewak. 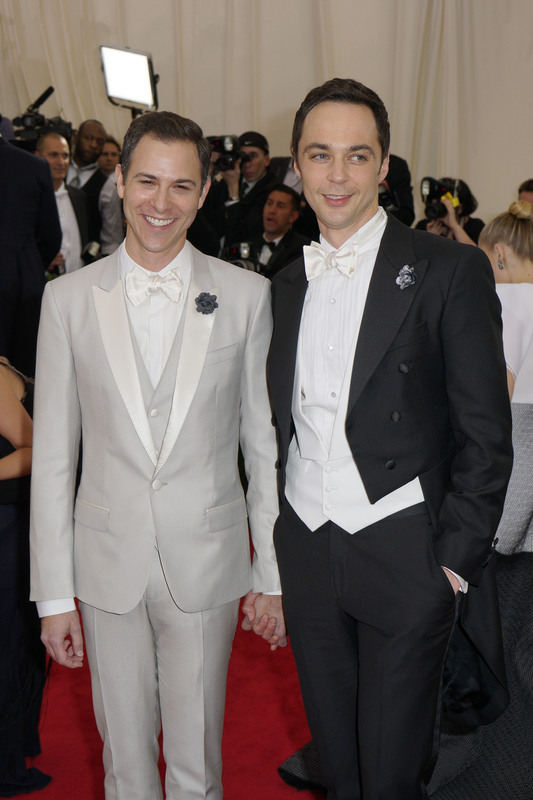 Jim Parsons has been with Todd for 14 years and is said to have finally tied the knot with his boyfriend at New York City’s Rainbow Room this weekend, according to Page Six. The site later received confirmation from Parsons’ rep. The marriage comes hot on the tails of The Big Bang Theory season 10 finale where Parson’s character Sheldon -SPOILER ALERT- proposes to his girlfriend on the show, Miyam Bialik’s Amy Farrah Fowler. I met this guy… 14 years ago today and it was the best thing that ever happened to me, no contest. Many happy returns to the couple.